The Urban Land Institute (ULI), an organization that awards urban spaces for excellence, announced that The Visionaire is one of the Top 10 winners of the ULI’s Awards for Excellence: The America’s Competition. 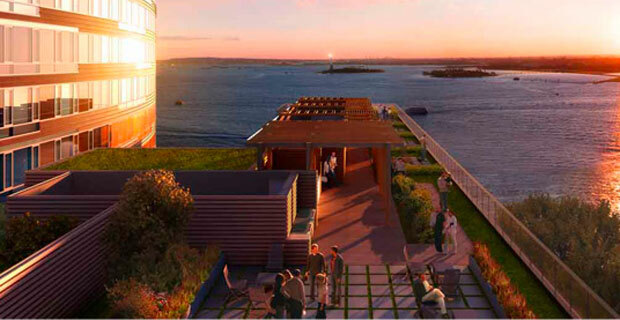 Battery Park City’s Visionaire was one of the major developments in the neighborhood to receive the distinction of receiving LEED-Platinum certification for its use of solar panels, geothermic walls and an on-site water treatment plant, paving the way for green initiatives in city living. The developers of the site are Starwood Capital and the Albanese Organization, the latter of which is also the developer of another green building in the neighborhood: the Solaire. This is not the only award for the Visionaire, as the building and it’s sister building Solaire have also won the ULI’s Heritage Award.